Carpet Cleaning Bexley has been helping our corporate clients create clean and attractive office environments for many years. How can you tell that a company is one of our clients? Well, their renovations seem to look new for much longer than others, and they always put their best foot forward when it comes to creating a good first impression. Do you want to change the way clients see your company? Give us a call and we’ll show you how you can make a good first impression the moment a client sets foot into your office. It’s disappointing to see how quickly an expensive office renovation can lose its luster. While walks, table and signs retain their newness for quite some time, carpet and furniture fabrics can start looking old very quickly due to accidents and wet weather. We’ll help you maximize the benefits of your renovations by keeping your carpets and furniture upholstery stain-free, clean and new looking. With a great looking office, it’ll be much easier to give off a good first impression to clients and to give your staff a pleasant place to work. The best part is that Carpet Cleaning Bexley’s services are moderately priced, so you can definitely afford that impressive office your business needs. *The costs above are valid about Bexley. They include the required labour (cleaning hours). If additional time is needed, then supplementary costs will be applied. Minimum charge applies. Quotes over the phone are formed based on the supplied information. Our many corporate clients in different parts of Bexley have grown to depend on us for fast and convenient carpet and upholstery services. Contact Carpet Cleaning Bexley and we’ll be happy to send our team over at a time that suits your operating hour. We believe that caring for your carpet and upholstery should be as fuss-free as possible. With specialized and experienced cleaning experts, and the most efficient machines in the industry, Carpet Cleaning Bexley will remove all the dirt and stains from your carpets in no time at all. Steam cleaning is our preferred method because it produces the best results and also gets the job done quickly. Your office furniture can also benefit from a fresh new look with our combined steam cleaning and stain removal services. Since both carpeting and upholstery cover a large area of your office, keeping them clean and new-looking will give your business more for its money. 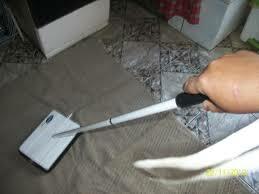 Technically, our company in the carpet cleaning business, but we actually see ourselves in the business of adding value. For a surprisingly low cost, our clients have been able to have fewer renovations and postpone the replacement of carpeting and furniture while still projecting a suitable image. With our 100% satisfaction guarantee, there’s no reason why your business shouldn’t experience the same services that have won us the loyalty of businesses and homeowners across Bexley. At Carpet Cleaning Bexley, we know it’s not only important to look good, but it’s equally crucial to be healthy. This is why we use steam-cleaning which is among the few cleaning methods that eradicate germs, bacteria and tiny insects from your carpet fibres. We also use safe and gentle cleaning solutions both to protect the fabric as well as the people in your office. Call Carpet Cleaning Bexley today and you’ll soon be marveling at the effects of our high quality services. Without those pesky coffee stains or muddy footprints all your customers will see is a business that cares about creating a good impression.